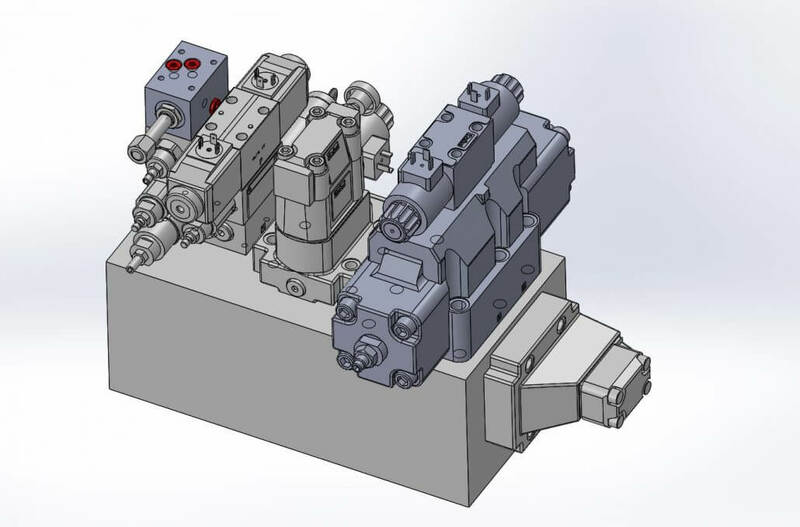 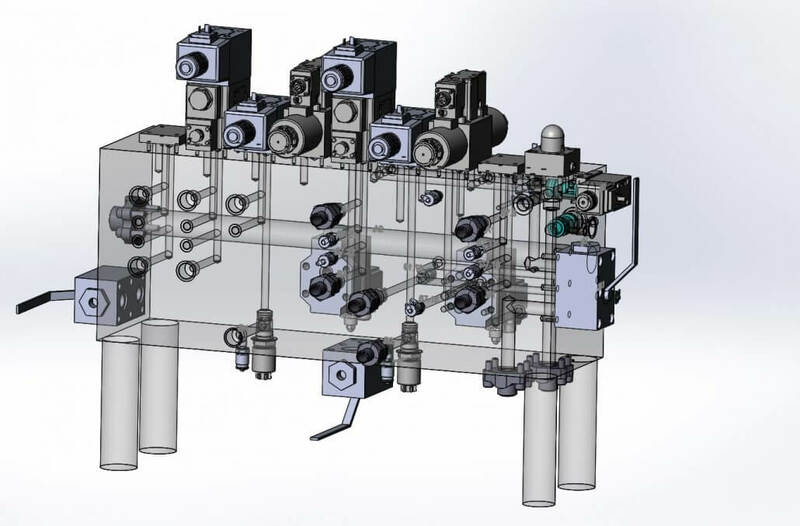 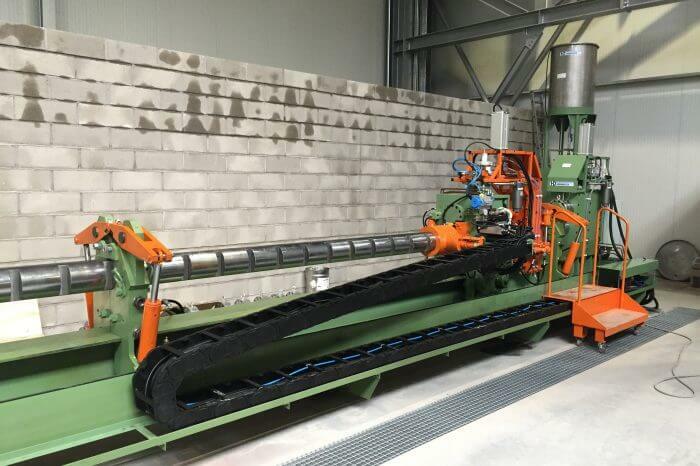 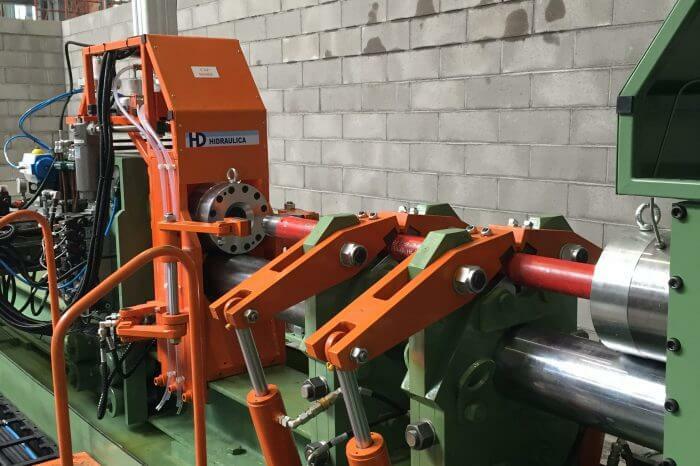 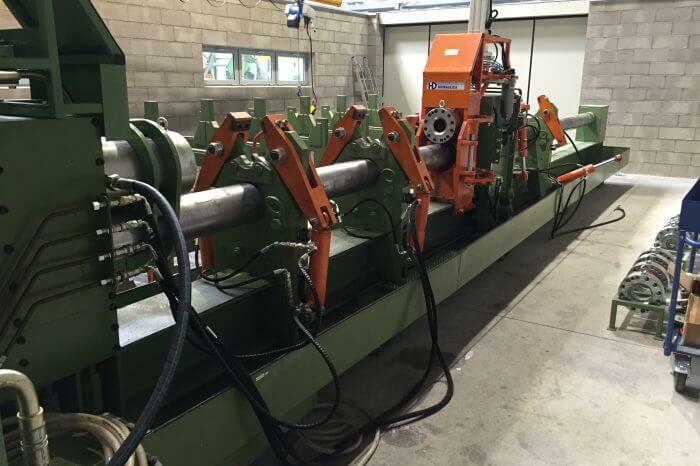 We design and manufacture: hydraulic and pneumatic systems for industrial and mobile industry, including complete production machines, cylinders, pumping units and test benches. 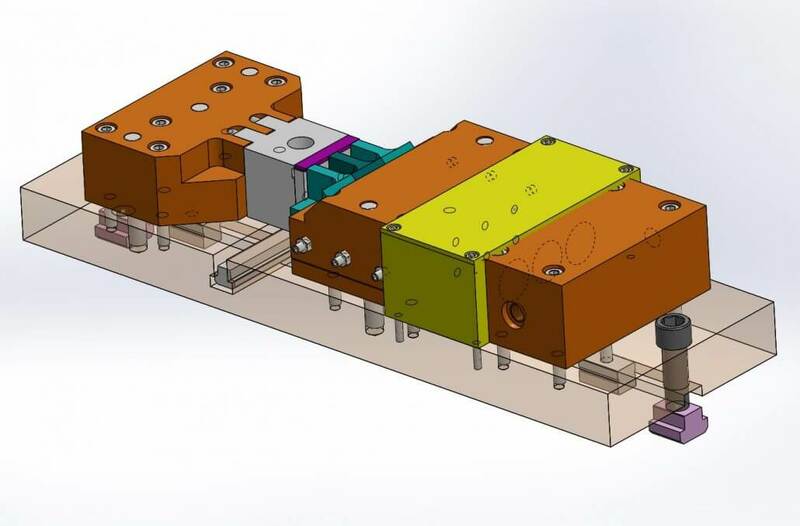 Developing together with the Customer the original idea, we are putting it into reality trough 3D design, manufacturing, assembling and testing. 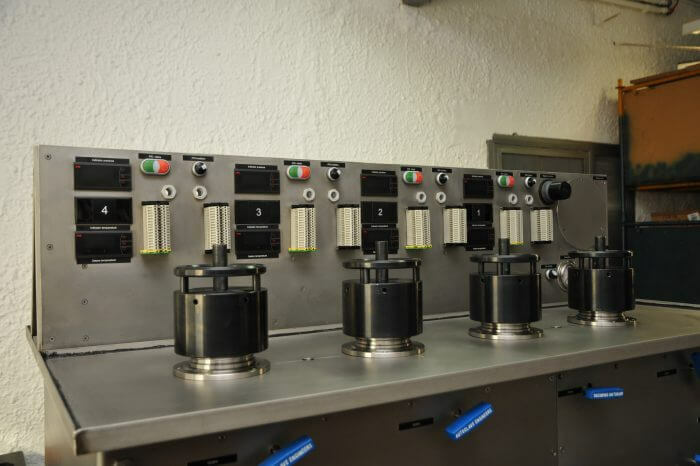 We stand by the client offering turn-key solutions, training, support and maintenance services. 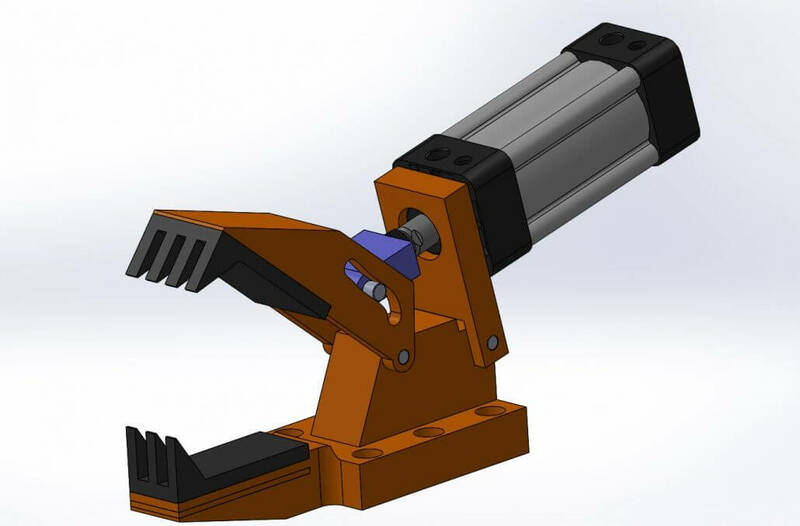 Check out some of our projects and please contact us! 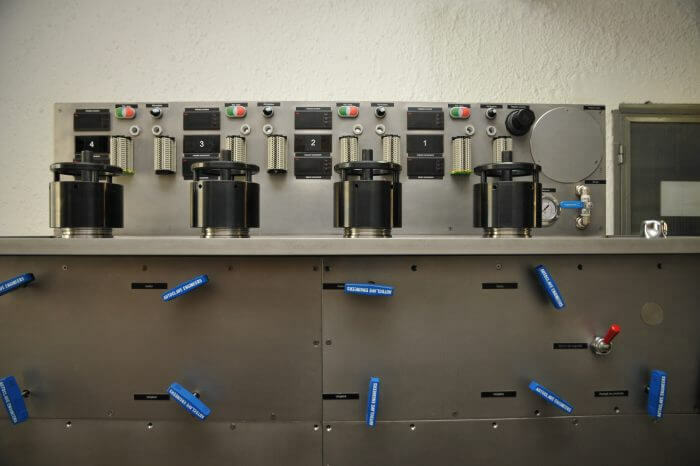 We are happy to find the best solution in dialogue with you. 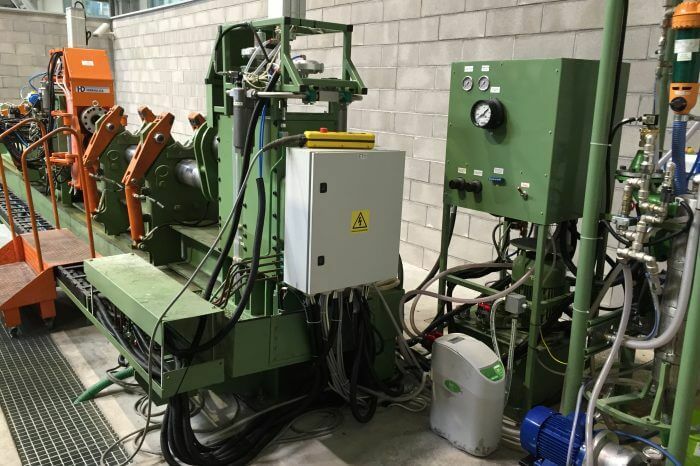 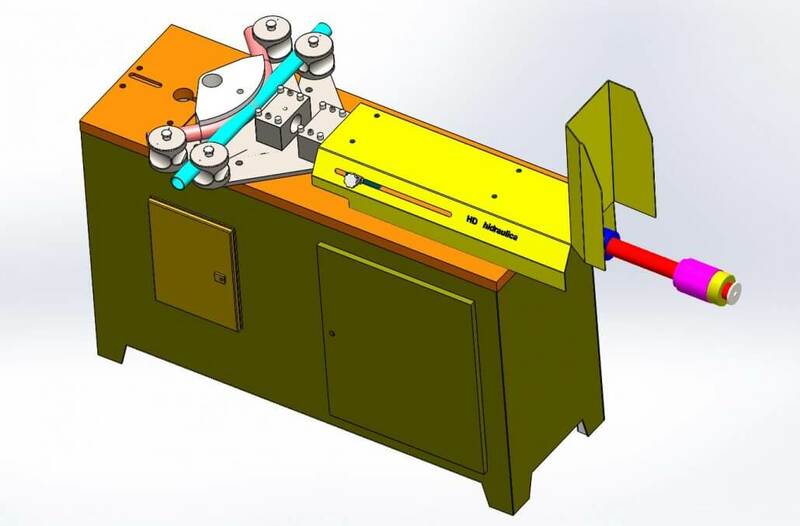 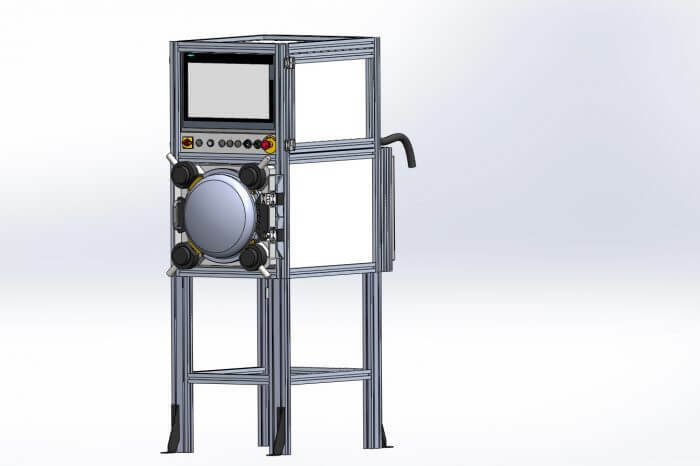 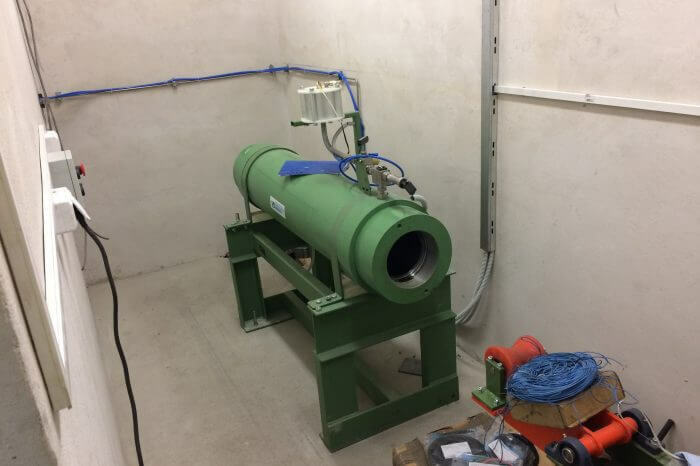 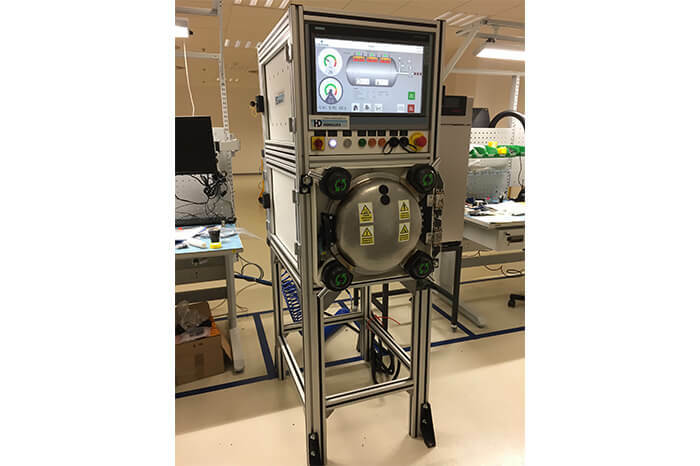 This hydrostatic unit allows testing tubes with various diameters, wall thickness and lengths in a semi-automatic mode. 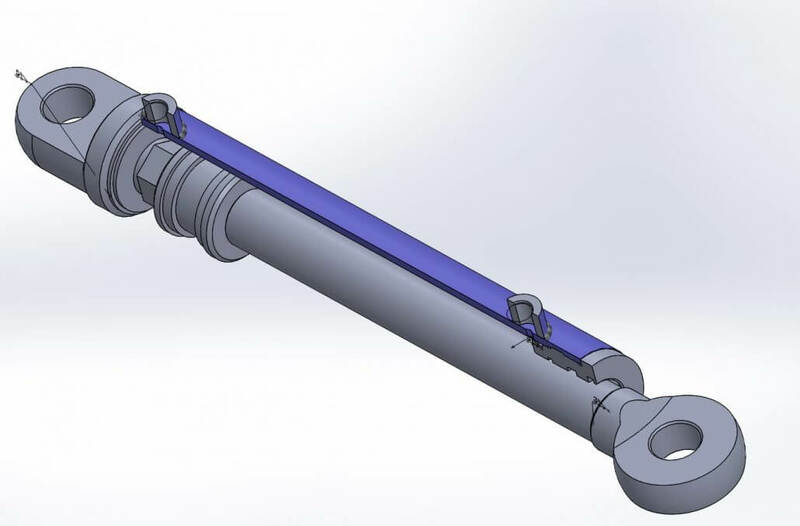 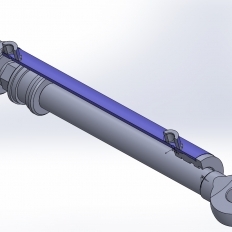 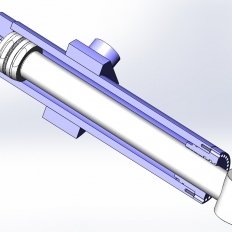 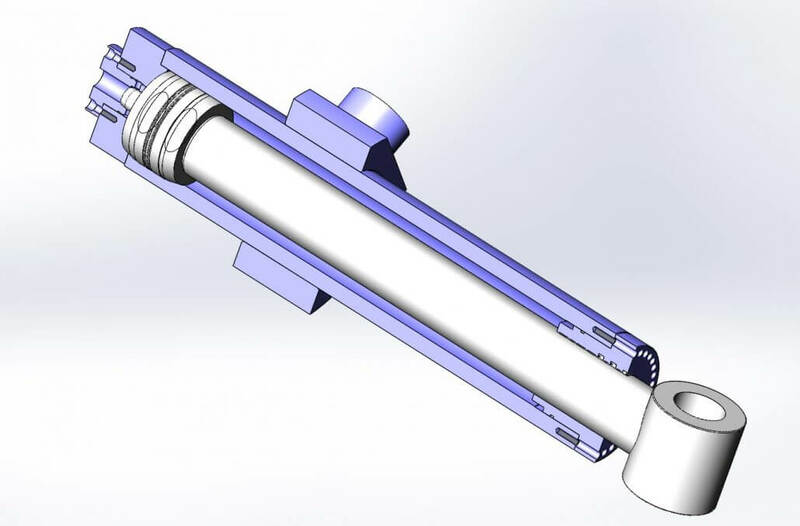 Based on the probes length, the mobile pressure head is movable via remote control. 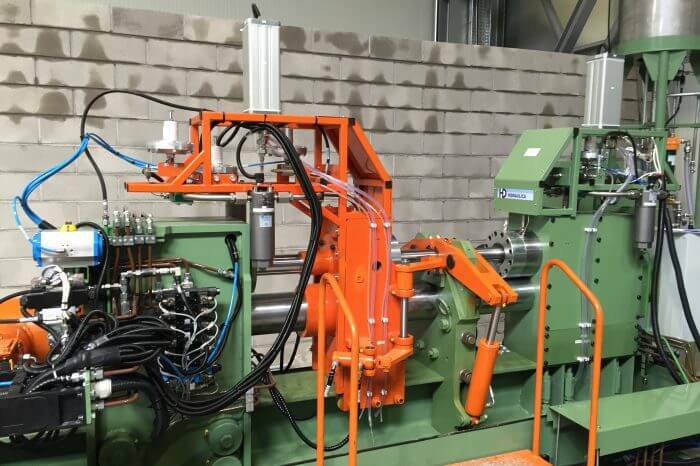 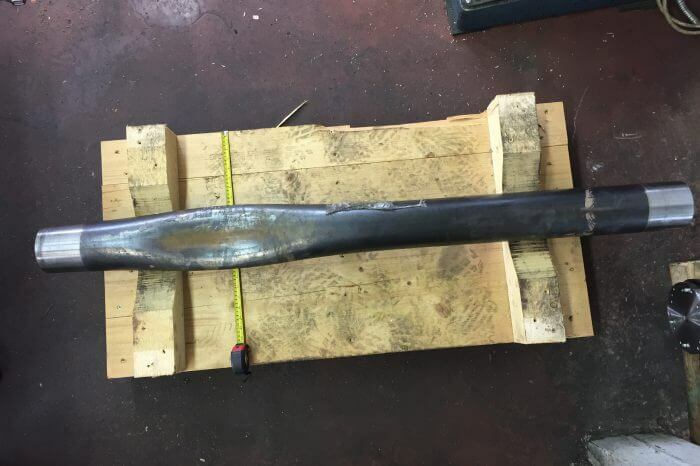 The pipe is installed and locked by hydraulic cylinders during testing. 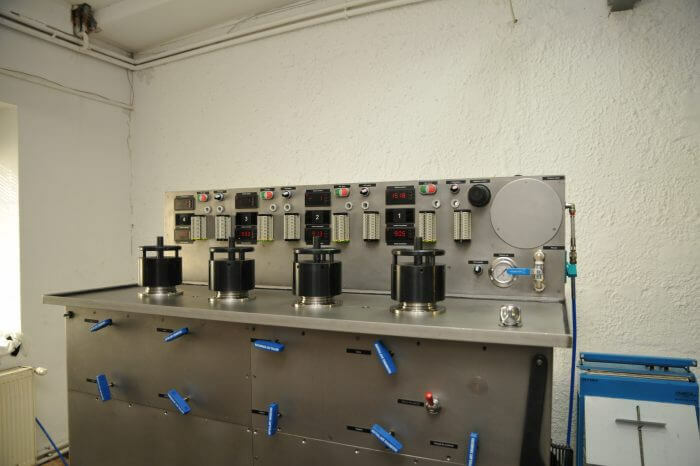 Filling, venting, pressurizing testing and depressurizing is automatic. 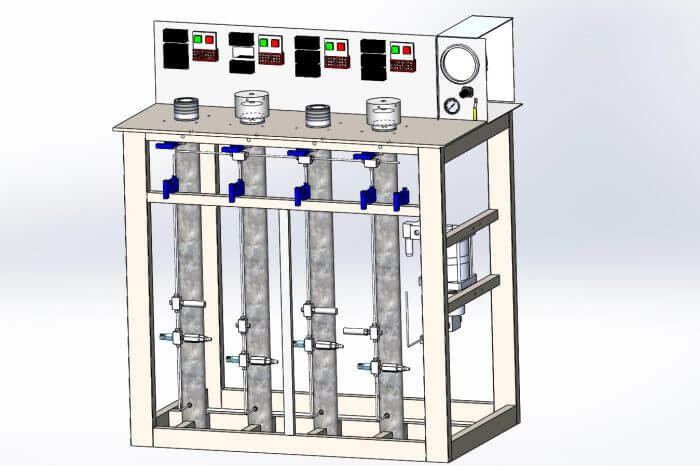 Water, as working fluid, is recycled and filtered with high flow, high pressure 700 bar filters to ensure proper functionality and high lifetime of the instrumentation products installed. 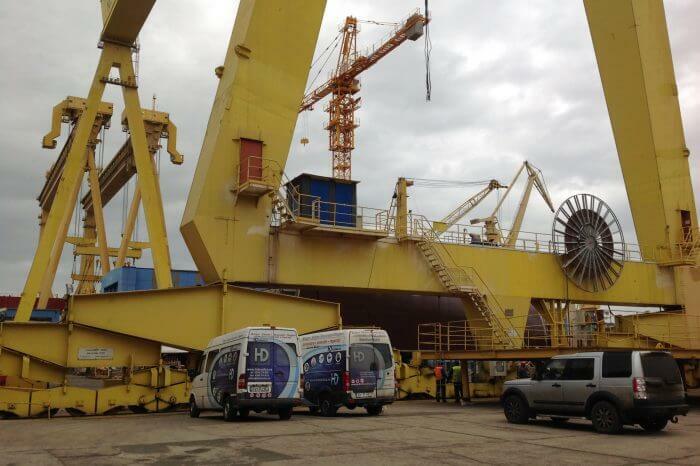 Flexibility, simple maintenance and high lifetime was a priority to be respected. 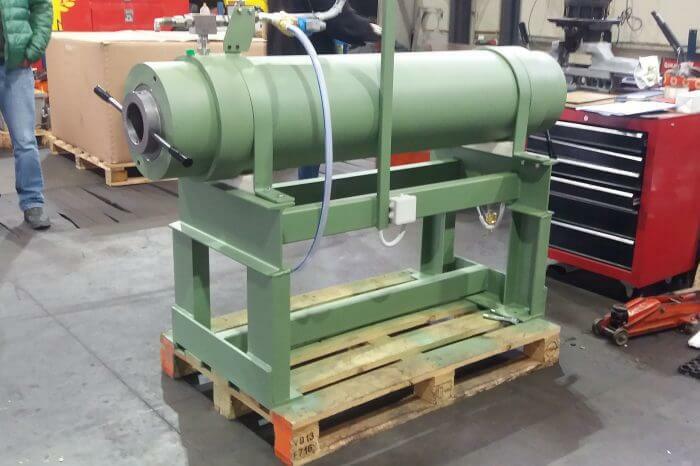 This unit allows testing special components inside the pressure vessels at high pressure and high temperature. 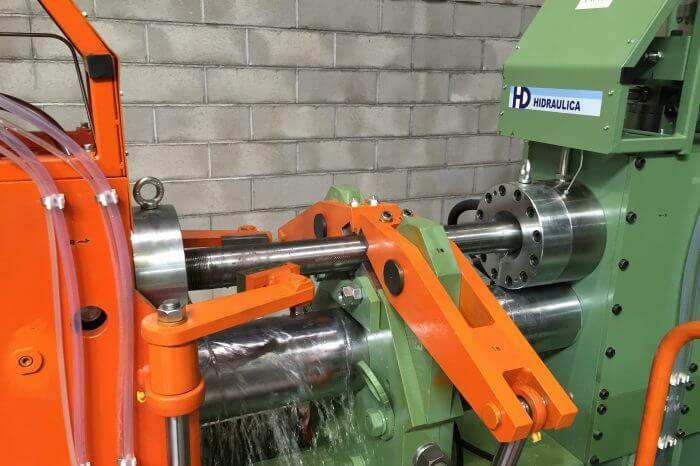 The vessels are machined entirely at Hidraulica SRL from Alloy 625 bars. 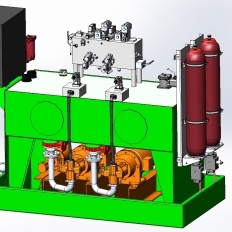 All 4 independent vessels are heated from the exterior and when needed, oil is recirculated and blowed with air for a faster cooling. 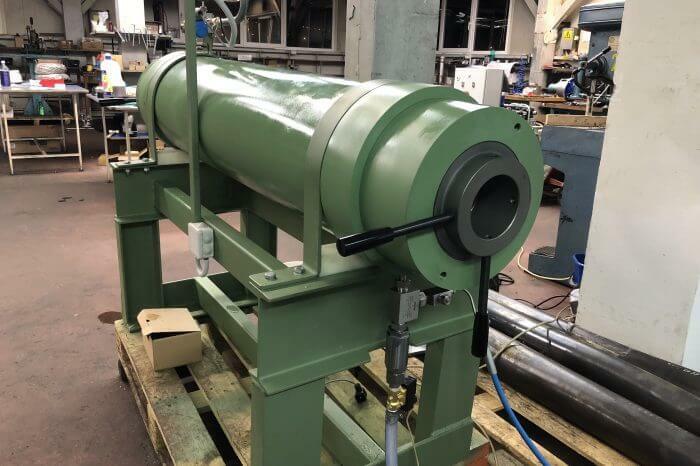 This system was designed for implosion testing pipes in a pressure vessel by means of high pressure water. 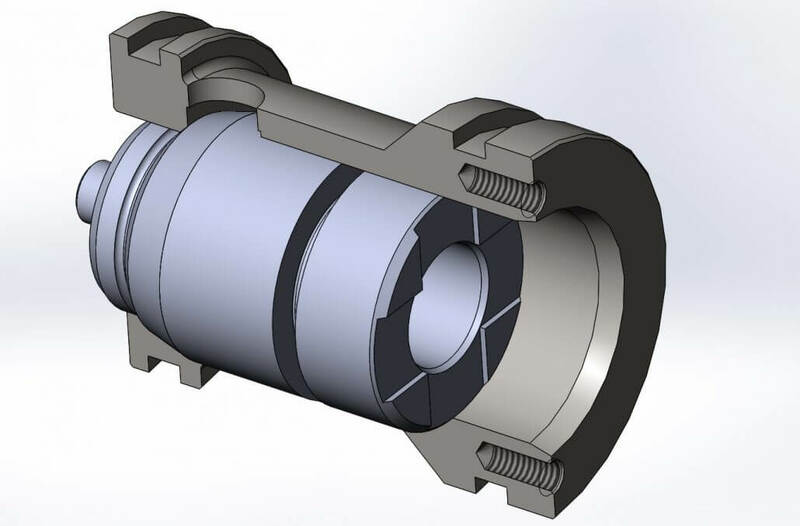 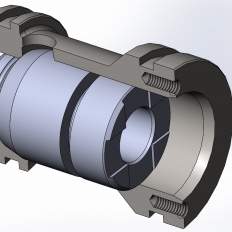 The probe is inserted in the vessel, sealed with specially designed seals. 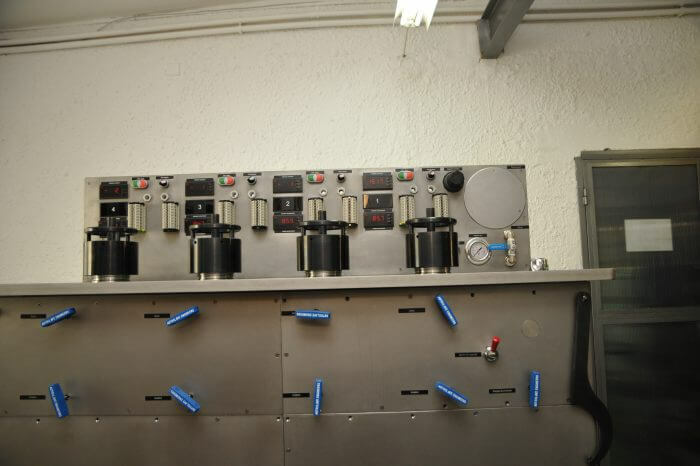 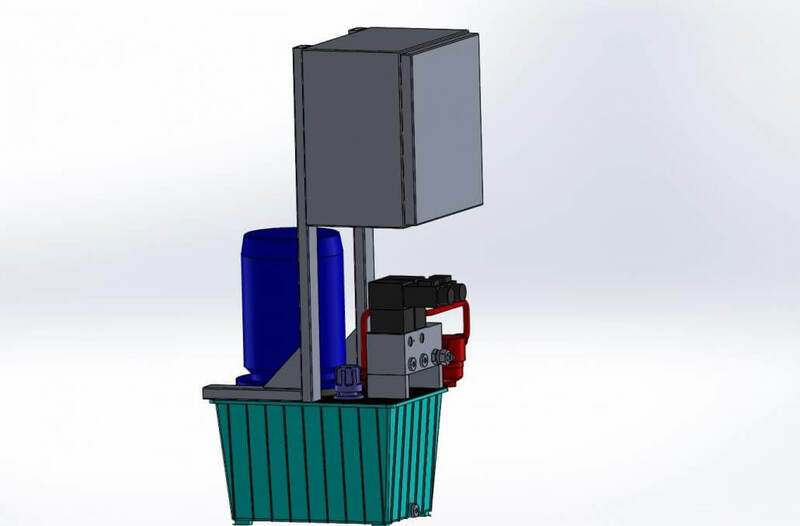 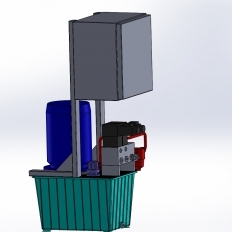 Filling, venting and pressurizing and depressurizing is made automatically. 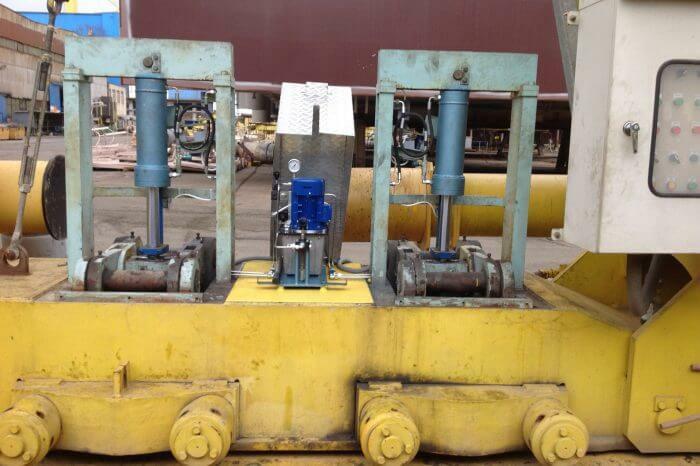 Simple operation method, minimum maintenance, long lifetime and high level of safety was essential. 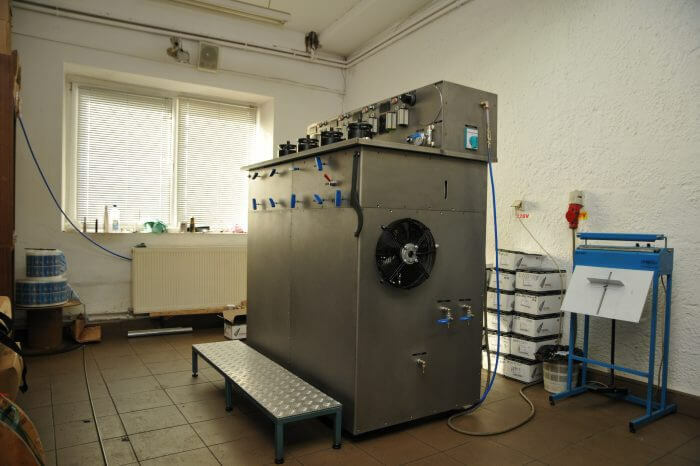 The autoclave was designed to allow exact control of pressure and temperature over a defined period of time. 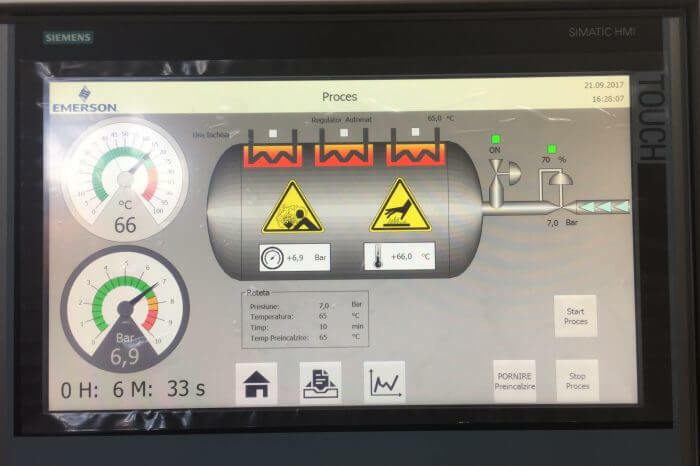 All parameters are defined by the operator on a flexible interface, via touch screen. 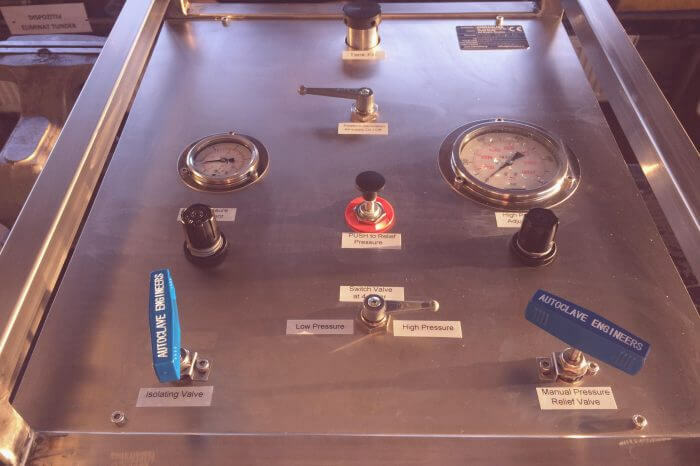 Having high temperature pressurized air working inside the vessel, multiple safety systems were implemented. 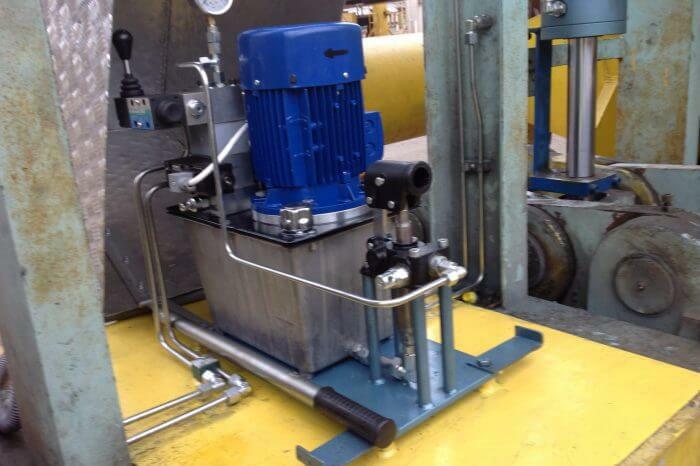 Being part of a production line, no downtime were allowed for this unit. 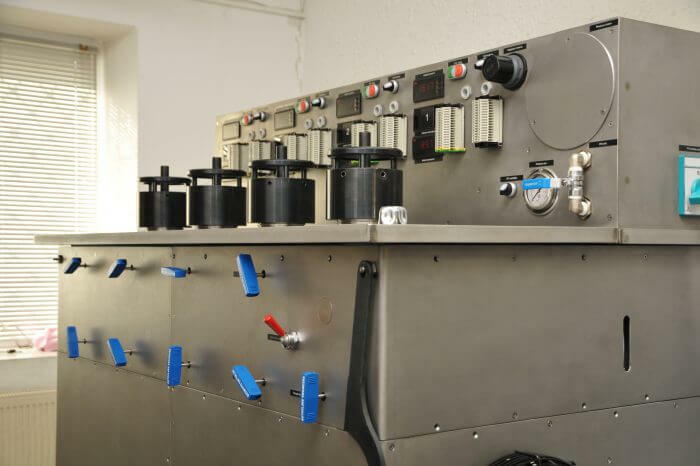 Precision, reliability and flexibility were the essential factors to be considered during design, not to mention safety. 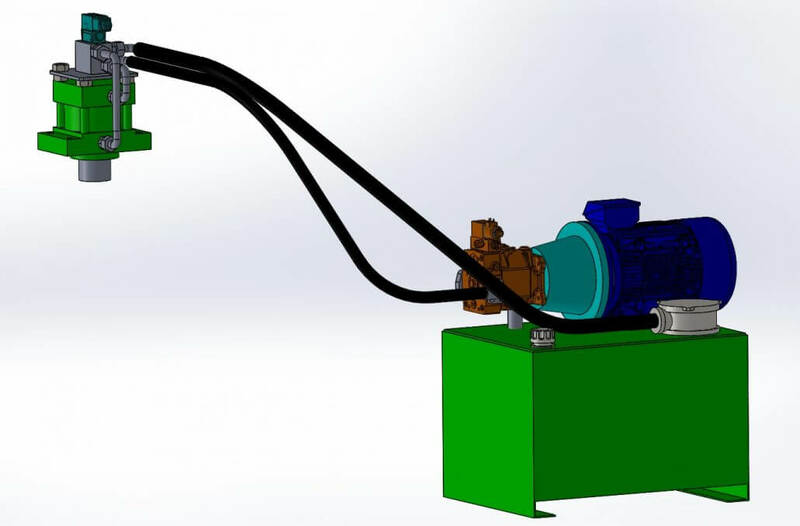 This skid pump is a portable, pneumatic actuated pressure generating unit with two air actuated pumps (low pressure/high flow and high pressure/low flow) which can quickly fill and pressurize any system. 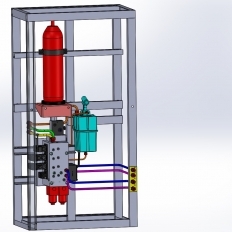 High pressure system, apparatus and frame made entirely of 316SS, it is ideal for marine environment and oil & gas industry. 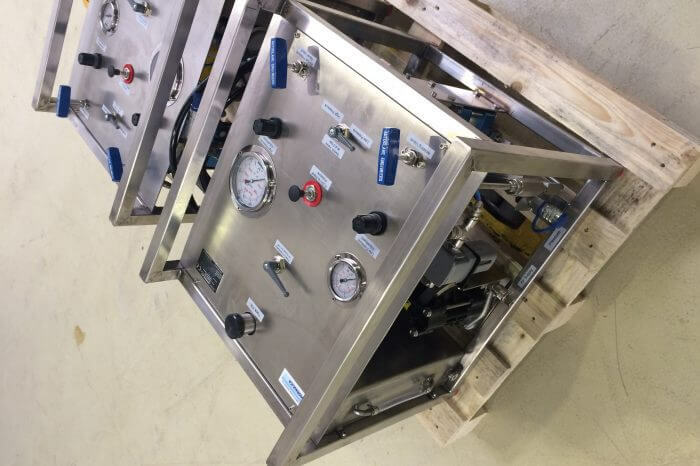 Pressure gauges and double pressure limiting devices, depressurizing button and air actuated needle valve make operation safe and reliable. 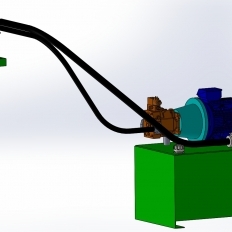 The simple hydraulic circuit offers easy and flexible operation, quick on-site servicing option. 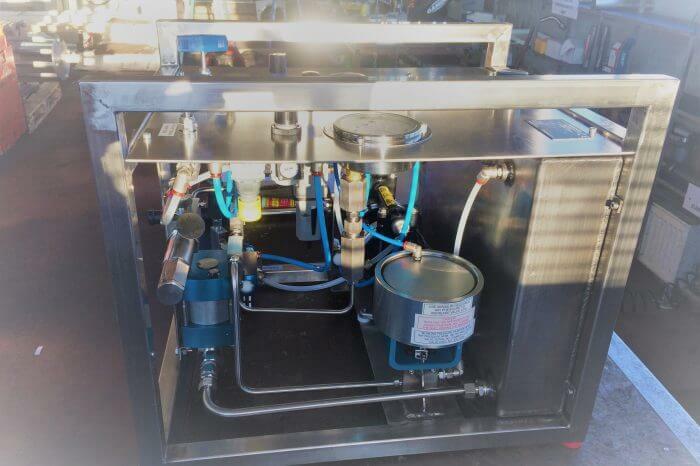 The configuration allows easy upgrade for 2.800 bar working pressure. 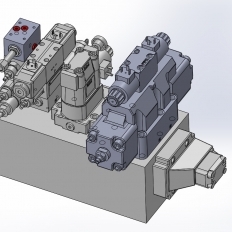 The hydraulic blocking system for breaking system of huge cranes had to be refurbished in order to ensure safe and reliable operation at any time, in any conditions. 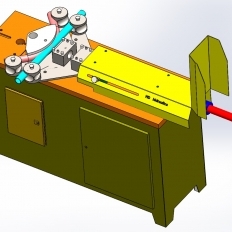 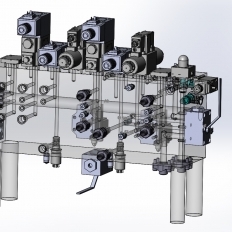 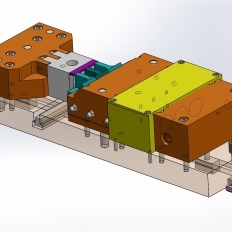 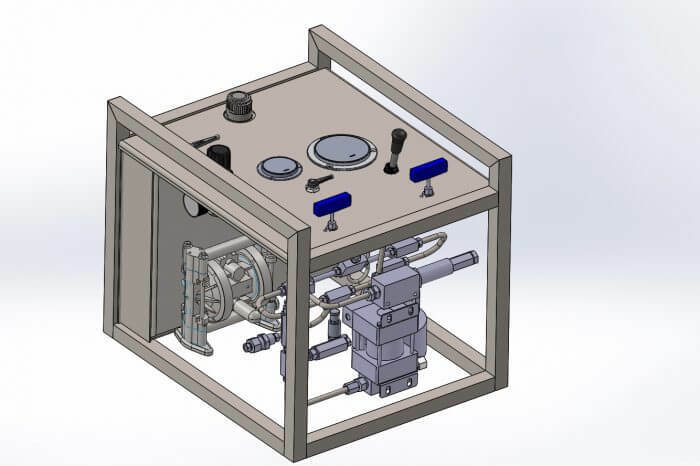 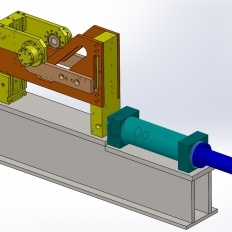 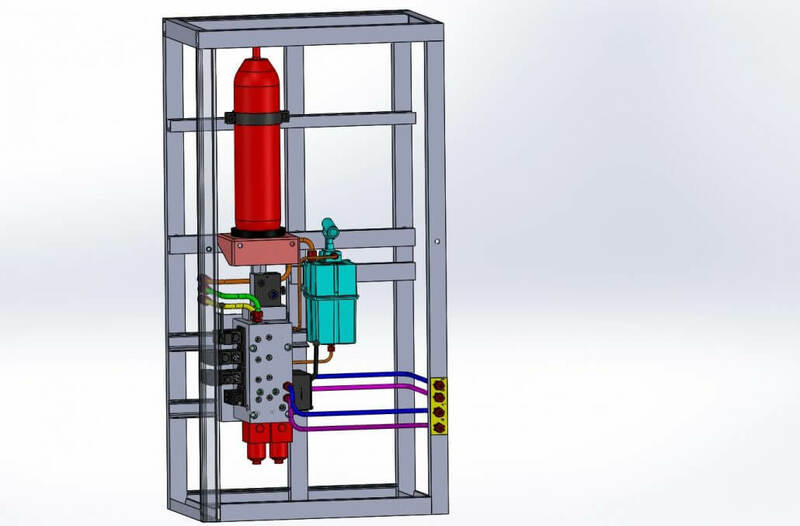 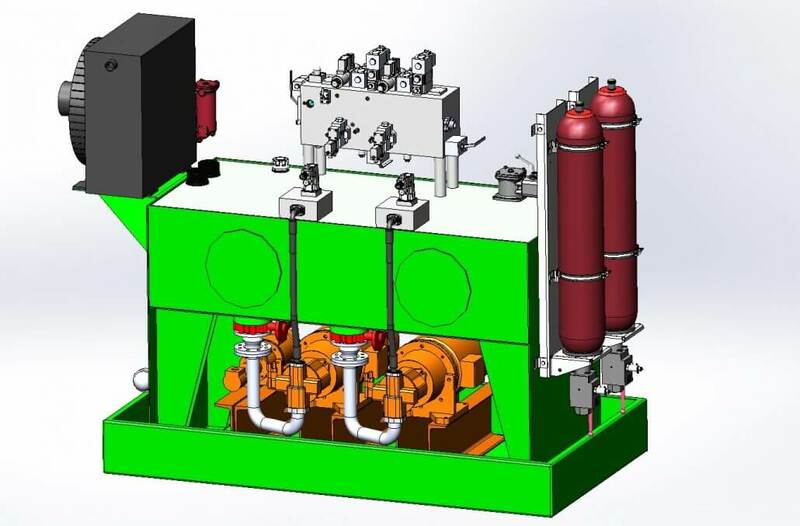 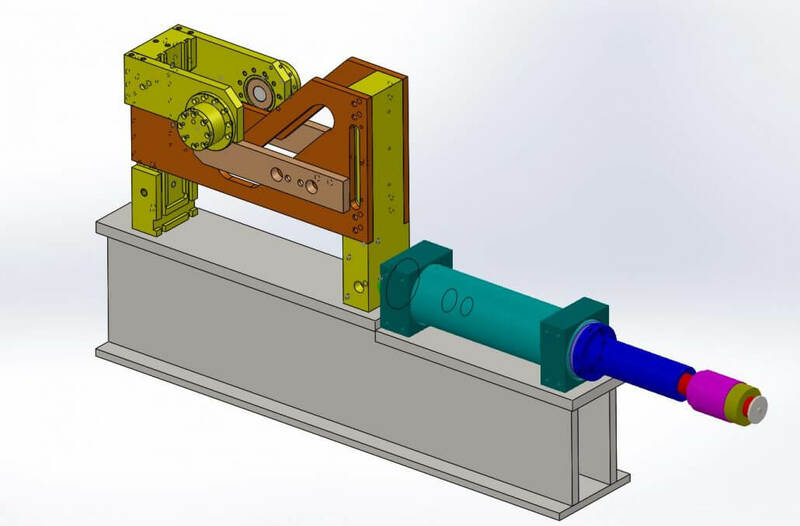 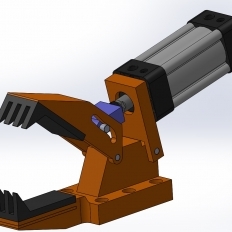 For this we have designed a hydraulic unit with electric operation with manual override, to be usable 24/7 to break and lock the crane in heavy winds, even in extreme marine conditions.